Wholegrain brown rice and nothing else. Just add your favourite milk. To colour things up, add some fresh berries. Believe it or not, each of these fluffy little white clouds started as a grain of brown rice from Italy`s Po Valley. The rice is just compressed, then the pressure is released. There`s a satisfying bratatatata sound and it turns into these light little bites. It`s a simple process that makes for a delightfully floaty start to the day. And because it`s wholegrain, it releases its energy slowly, to keep you going until lunchtime. Just add your favourite milk. To colour things up, add some fresh berries. 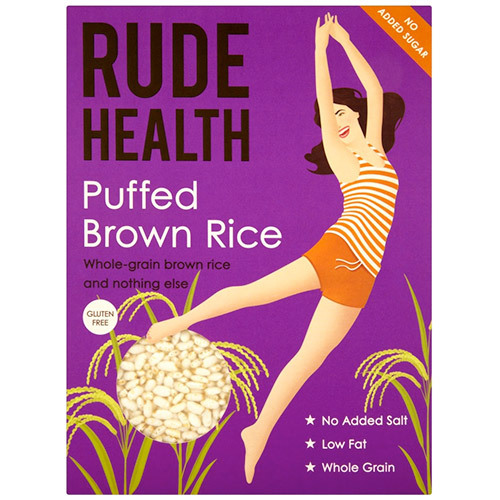 Below are reviews of Rude Health Puffed Brown Rice - 225g by bodykind customers. If you have tried this product we'd love to hear what you think so please leave a review.